Googly Eye mania has been sweeping the nation, but up to this point it has been strictly a daytime activity. No more! 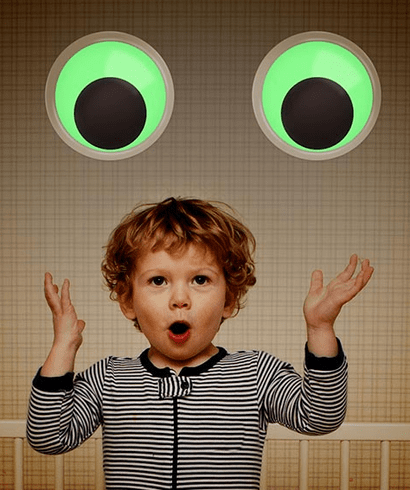 These Giant Glow in the Dark Googly Eyes, 7" (17.8 cm) in diameter with adhesive backs, look just as good when you turn out the lights. Perfect for garage doors, tombstones and childrenÕs closets. Set of two.